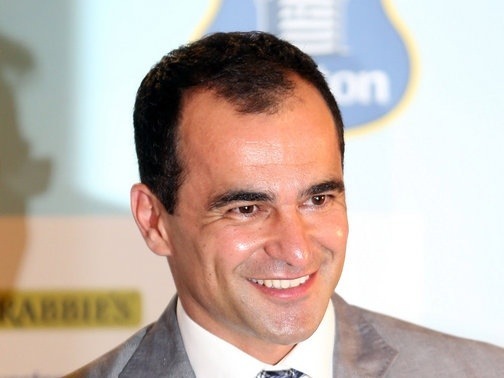 Martinez: The right man for the job? Earlier this year, on the 9th March after another FA Cup exit to Wigan Athletic, I was asked the same question on the banks of the Gwladys Street end. Once again I replied with ‘Martinez’. The performance I had just witnessed from a struggling, young Wigan side was enough evidence I needed that he was the right man for the job. The type of football that Martinez likes his teams to play is an exciting, attack-minded approach, whilst still being conservative enough; playing three centre backs in a 3-5-2 formation. The three at the back act as the final line of defence, rarely venturing forward with the exception being attacking set plays. The five midfielders provide both width, with two ‘line-hogging’ wing-backs, who not only do their defensive duties, but add to the attacking presence of the side, and the three central midfielders offer the bodies required in the middle of the pitch to outplay the opposition, with at least one of these three lying deep in front of the defensive three to get bodies behind the ball. The two forwards can play as out and out strikers, not having to drop deep to pick up the ball due to the numbers in midfield. Likewise, the passing game which Martinez sides often play is how the best teams in Europe are playing at the moment (Barcelona and Bayern Munich) proving that this is the way to be successful. In addition, despite Wigan Athletic being relegated at the end of the season, they averaged 55% possession throughout the 2012/2013, placing them 18th in the average possession per match in Europe, above the likes of Napoli, Schalke and Champions League quarter finalists Malaga. With Wigan, the high possession stats didn’t always work out as they lacked Everton’s class in the final third, the ability to play the final killer pass or to finish off a well-worked move. Playing this type of football has more chance of working with a team with more skill and experience, like the Blues. Wigan did however, play this type of football in the FA Cup final and proved worthy winners beating a more experienced Manchester City side. As a seventeen year old, I am only old enough to remember the recent managerial change, and the one from Walter Smith to David Moyes. It amazed me some of the candidates which fellow fans were putting forward. The likes of Pereira shocked me the most. He seemed to be who most of the fans wanted, despite not having previous managerial experience in the Premiership, or in England at all. Kenwright’s decision to appoint Martinez over Pereira was proven wise when Pereira was appointed manager of Al-Ahli of Saudi Arabia, presumably moving there for the money and showing a lack of ambition. As much as many fans will hate to admit it, Martinez did with Wigan what he needs to do with Everton; succeed and play good football with a tight budget. I believe Martinez is the right man for the job. Next Post How good is Leroy Fer? Matt, my thoughts entirely on Martinez. I have bored my brothers for the past year about how this guy would & now could get more out of this squad than moyes did. I feel that Martinez can take the shackles off & be more attack minded with this team & become a great side to watch, to be fair to Moyes he had the team probably play the best 45 minutes I have seen from an Everton side since 85 against villa at the start of last season at villa park, however he could not sustain it for over most of the season though we did finish 6th in a very average league. I just have a really good feeling about Martinez,i could be wrong? I think Sharpy spoke a lot of sense on the Official Site. The key for Martinez is to build on what is already strong. The foundations are in place, develop the style of the team, add goals, but ensure the defence carry on as before.